This is a rectangular Oak Motor Oil porcelain sign. This particular Oak Motor Oil sign is predominantly red with white text. 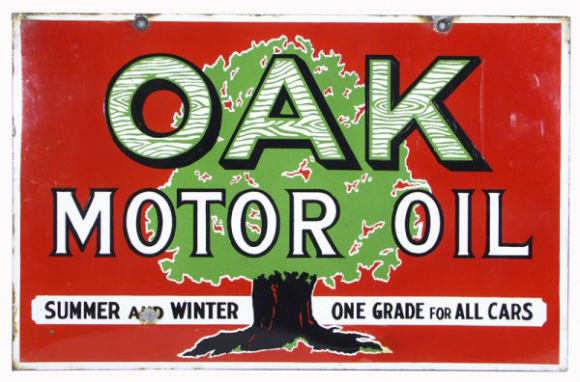 It reads, “Oak Motor Oil, Summer and Winter, One Grade For All Cars” and features a green and brown oak tree in the center.